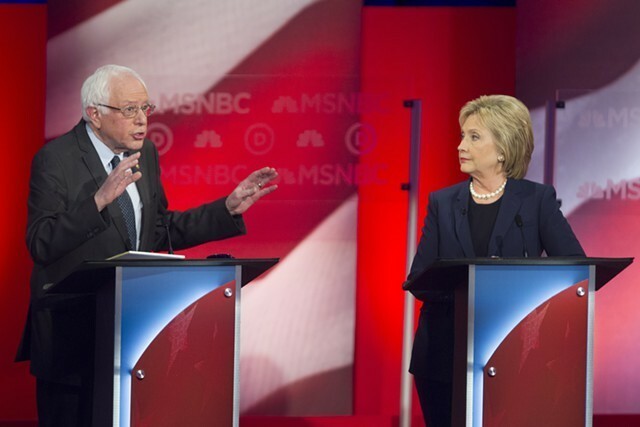 Sen. Bernie Sanders and Hillary Clinton debating in February in New Hampshire. 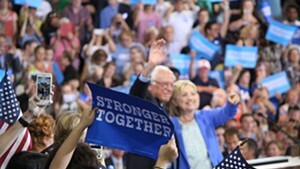 The Democratic presidential campaigns of Sen. Bernie Sanders (I-Vt.) and former secretary of state Hillary Clinton confirmed Monday morning that the two will campaign together Tuesday in Portsmouth, N.H. Citing unnamed sources, multiple news organizations have reported since late last week that Sanders is expected to endorse Clinton at the unity event. His campaign did not respond to several requests for comment. The joint appearance comes more than five weeks after Clinton locked up the Democratic presidential nomination. It follows a tense weekend in Orlando, Fla., where delegates for both candidates hammered out a final draft of the party's platform. Calling it "the most progressive platform in party history," Sanders' campaign declared victory on several planks it supported — most notably a commitment to raise the minimum wage to $15 an hour. The senator lost another high-profile fight: to enshrine opposition to the Trans-Pacific Partnership trade deal in the platform. Last Wednesday, the Clinton campaign released a new higher education plan that would make public colleges and universities free for families earning up to $125,000 a year. And on Saturday, it affirmed Clinton's support for creating a public health insurance option and doubling funding for Federally Qualified Health Centers. Both proposals were seen as attempts to win over Sanders and his supporters. "We have made enormous strides," Sanders said in a written statement Sunday. "Thanks to the millions of people across the country who got involved in the political process — many for the first time — we now have the most progressive platform in the history of the Democratic Party." 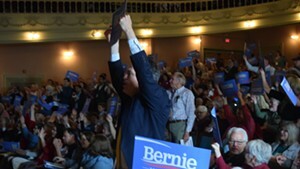 New Hampshire would seem to be a logical choice for a unity rally, given the high levels of support for Sanders in New England's only true battleground state. He defeated Clinton there 60 to 38 percent in February's primary election.